The Supreme Court bench of justices Madan B. Lokur and Deepak Gupta, on Tuesday, directed all the States and Union Territories, that are respondents in the case of Nipun Saxena v Union of India, to file an affidavit within a period of four weeks, indicating the amount received by each State Government and Union Territory under the Nirbhaya Fund towards victim compensation. The bench also directed them to disclose how much of that amount has been disbursed to the victims of sexual assault. Earlier, the bench took note of NALSA’s submission that it would take four more weeks to finalise the chapter or sub-scheme within the existing Victim Compensation Scheme for victims of sexual assault. Surinder S.Rathi, Director, NALSA told the bench that the issue of centralised disbursements as well as re-appropriation of funds available with the State Legal Services Authority will be discussed in the meeting, which is to be held with the Ministry of Home Affairs, in terms of the Court’s earlier orders. 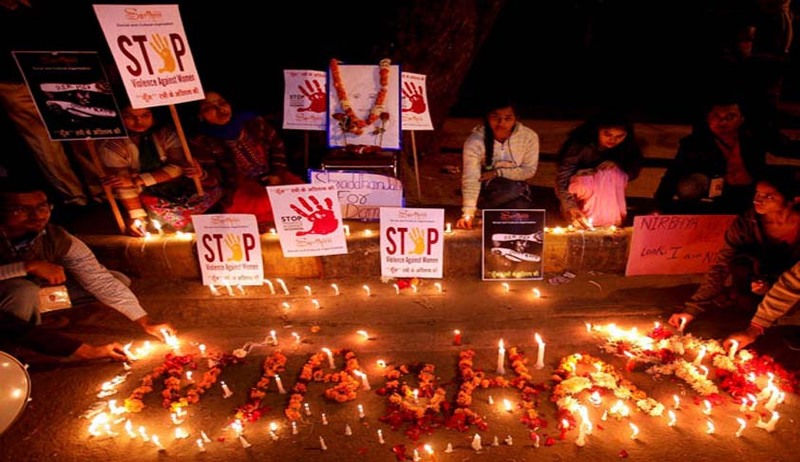 The bench will review the status of utilization of Nirbhaya Fund by the states and the UTs, on February 15. During the previous hearing, the bench requested NALSA to set up a Committee of about 4 or 5 persons who can prepare Model Rules for Victim Compensation for sexual offences and acid attacks taking into account the submissions made by the Amicus Curiae in the case, Indira Jaising, who has analysed all the Victim Compensation Schemes and has taken out the best practices from each one of them and has formulated a scheme. On September 22, the bench regretted that there was no integrated system with regard to disbursal, management and payment of compensation for victims of sexual assault. Prima facie, it found that funds were being handed over to the States by the Union of India but there was no payment to the victims. The bench deplored that there is no record of how many victims of sexual assault have received compensation and to what extent and how much time it has taken and at what stage compensation is paid to the victims. “This is an unhappy state of affairs and the victims of apathy are only those who had already suffered sexual assault and nobody else. Under the circumstances, we would like to hear submissions from the learned Amicus as well as learned counsel for the Union of India on how best to evolve an integrated and cohesive system of payment of compensation to victims of sexual assault and also steps to rehabilitate these victims or at least reduce or eliminate the trauma they have undergone”, the bench had observed.